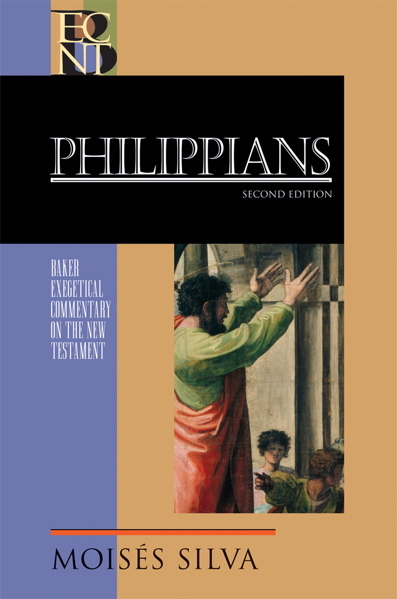 Moisés Silva’s original commentary on Philippians was so popular that he was able to release a second edition in 2005 as part of the BECNT series. This was my first exposure to a more ‘technical’ commentary, and I have to say it opened up a whole new world for me. Silva’s writing is very clear and concise and it’s quite surprising to think of so much content being fit in such a relatively small commentary, but he pulls it off with ease. The commentary is evenly spaced out, with a substantive introduction and each passage receiving fairly equal attention. In the introduction, Silva provides a welcome and comprehensive reconstruction of events surrounding the formation of the letter, highlighting key events, dates, and people in relation to Philippians. He argues for Pauline authorship and after engaging the alternatives of Caesarea and Ephesus, settles upon a Roman provenance. There is a particular focus on the Judaizers, who play a large part in his interpretation of various texts within the book. Silva presents a unique thesis in which the ‘opponents’ of Paul found throughout the book are all in some way linked to Judaizing doctrine, with some being full-blown (1:15-17; 3:2) and others having objections with Paul’s distinctive teaching (1:15-17) but not “necessarily preaching a message of works righteousness” (italics in original). Silva devotes a large portion of his introduction to language and literary concerns and distinctive theological contribution, drawing attention to what he sees as Paul’s overarching concern with the Philippian’s sanctification through right thinking and adopting correct mindsets. The commentary proper follows a unique format and style; beginning with a short overview and outline of the relevant passage, Silva’s own translation follows in which he attempts to capture Paul’s subtleties and emphasis. In the next section Silva exegetes a section, rather than individual verses, and so doing pays attention to capture the flow of Paul’s thought. Lastly, are ‘additional notes’ in where any textual issues or additional comments in individual verses are addressed. I found this system to be very helpful in my understanding of Paul’s argument in a particular section. When I studied and taught I would first arc the passage, and Silva’s comments and attention to literary structure were particularly useful in this respect. One of the more distinct contributions to this commentary is Silva’s clear Reformed background and emphasis throughout the work. For example, he emphasizes the, “twin truths of human responsibility and divine sovereignty”, particularly in regards to sanctification, in various places throughout the commentary. I found this to be refreshing as unlike some technical commentators, Silva clearly presented his own views and conclusions and doing so in a scholarly fashion whilst remaining balanced. One such example was found in the discussion of the prayer and thanksgiving in Phil 1:1-11. It was illuminating to see Silva demonstrate Paul’s presupposed understanding of sovereignty and responsibility in his flow of thought when thanking God for the Philippians’ work by grounding his confidence in God’s working amongst them as being evidenced in their participation in Paul’s Gospel ministry. Another example is found in his treatment of 3:7-11. Silva draws attention to Paul’s “doctrine of justification (v. 9), his experience of sanctification (v. 10), and his hope of glorification (v. 11).” Union with Christ is also discussed in the comments. While some may see this as reading one’s systematic theology into the text, Silva fairly convincingly shows how these doctrines find their expression consistently in Paul’s thought. Chapter 2:5-11 receives focused attention, in which Silva presents different views on this famous passage and their respective arguments for and against, carefully weighing them before giving his own conclusions. This section was at first fairly confusing for me, being new to the scholarly disagreements in this passage. I was reading Fee’s Philippians commentary at the same time and after reading his commentary on this section I found Silva’s to be perfectly clear. My initial difficulty with this section may be a common experience with others who are new to the discussion. One of the very few criticisms of this work is that some of Silva’s conclusions seem to lack sufficient argumentation. This is a matter of personal opinion, but in some cases I found Silva’s conclusions to be the opposite of what seemed clear to me in the text. One such example is his view of the identity of Paul’s enemies. In an admirable attempt to base the identity upon opponents we know existed rather than creating opponents from pure speculation, Silva argues that the opponents in 1:15-17; 1:27-28; 3:2 and 3:18-19 are all in some way connected with Judaizers. Unfortunately, in so doing, Silva in effect creates groups within the Judaizing movement and does the very thing he wants to avoid in order to make his proposal work. For all references to speak of Judaizers, we first need to be convinced that they were present in Philippi (something that is not certain), persecuting the church in some way (1:28-29), and be those in Rome (1:15-17) that oppose Paul, despite him claiming that they are in fact preaching Christ. In respect to this latter group, Paul only speaks of their attitude towards him, and nothing of their doctrine, which seems unusual if they were Judaizers considering Paul’s clear opposition of them in Galatians. Despite my few minor disagreements, I found Silva’s commentary to be incredibly helpful in my study and teaching of the book. This book would be useful to all who want to understand Philippians in a deeper way. I would wholeheartedly recommend it to both students and pastors who want a slightly more technical commentary that engages with the Greek text and Paul’s train of thought as well as theology and application. While I land on some different exegetical conclusions than Silva, I am very grateful for this work and its profound influence in my study.